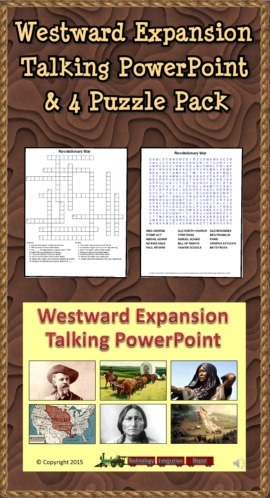 Turn down the lights and turn up the volume for the Westward Expansion Talking PowerPoint! This slideshow highlights 48 people, events, documents and artifacts of the period. Each slide is narrated so students can progress through the presentation in a computer lab setting. Ideal for introducing topics children can select for further study. Also included are two crossword puzzles and two word searches basic upon facts found in the presentation. Answer sheets are included. Enjoy! 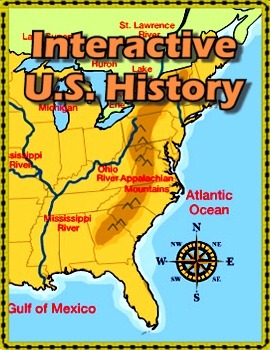 Become a geography whiz as you learn how the United States was settled. Discover how the continent was irrevocably changed by European colonization, the events that caused the wholesale displacement and decimation of the land's original inhabitants, and how the 50 states came to be formed. 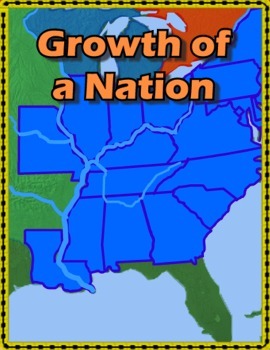 Growth of a Nation is a movie which depicts the geographic history of the United States from 1789.